One of the best parts of my job as a high school director is watching how one small change leads to another and then another, until it finally coalesces into a major impact on student learning and empowerment. 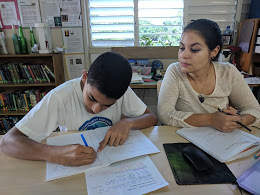 At the end of this last trimester, I got to watch the culmination of three years of shifts in our teaching come together as students shared their self-written life skill comments with their parents during progress report conferences. It was the most powerful change we’ve ever made and it left me wondering why we hadn’t done it years before. 1. Introducing life and career skills. We first introduced life and career skills to our all of our secondary students in September by teaching them what the skills are and by giving them 5 different learning targets for each one. You can read about how one of our teachers introduces life skills here. Eventually we realized that we couldn’t just refer to these skills once in a while. In order to help students grow in these areas, we had to actively teach them throughout the year. 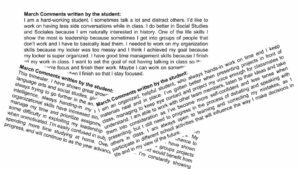 Teachers began embedding life skill learning targets into their lessons, so students were not only focused on content skills but also focused on time management, leadership skills, communication skills, and more. Last year, in some classes, we had students set life skill goals for themselves. Every four weeks, they reflected on those goals and slowly began to make important changes. This had such a strong impact on our learners that this year we decided to do goal setting with the entire secondary school. At this point, many students had difficulty. They were far better at pointing out weaknesses than strengths. During these conferences, teachers asked guiding questions to help students notice their strong points. Then teachers would help students see how they could build on their strengths to improve in some of their areas of weakness. Throughout the process of writing their comments and discussing them with teachers, students grew in self-confidence. They also began to realize that looking at their strengths was not boasting — it’s actually the only way to grow. By focusing on strengths, they were able to feel proud of their accomplishments, which gave them the motivation they needed to set new goals. Finally, students met with their parents in conferences to go over their progress reports. 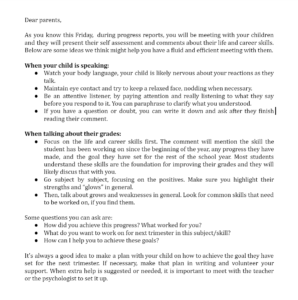 Before the meeting, we sent out a letter to parents with tips for having positive interactions with their children. 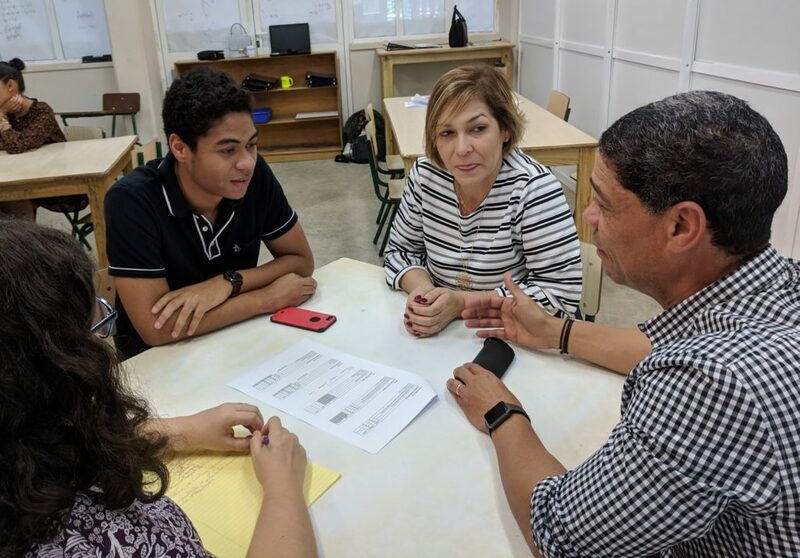 Parents met with their children and the students’ homeroom teachers to discuss the comments and the student’s growth over the trimester. Teachers were simply there to guide the conversation when necessary or to clarify something going on in class. But overall, the meeting was a dialogue between students and parents. We weren’t sure exactly how this would all shake out – in fact we were very nervous – but it went even better than we hoped! Below are some of the comments we heard after the meetings, from parents, teachers, and students. Overall it was an incredible day. I honestly have never received so much positive feedback on a new initiative, and we will absolutely be doing this again. Have you ever tried anything similar in your classes or with your students? Have questions about the process? I’d love to hear from you in the comments below! They really do want to learn and be honest about measuring that progress. Thank you for reading Matt! I agree with you that kids want to learn and measure their progress. When they take charge of their grades, it becomes clear to them why they get the grades they do, and what they need to do to improve. I’m loving this learning adventure!